This 7 Up sign has a white center with a green boarder. At the right center of the sign is a 7 Up logo with bubble rising to the top. 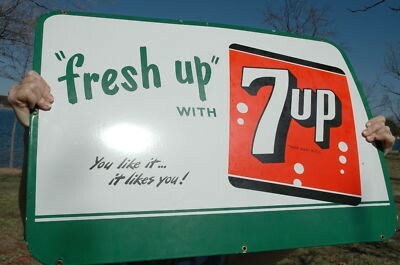 The left side of the sign reads “Fresh up with 7 Up” and “You like it…it likes you!” This sign is 41″ x 31″.